Park City Recreation just mailed out its annual Play Magazine. Plan now for all your summer activities and register beginning April 1. Programs offered are adventure camps, tennis camps, skateboard camps, summer day camp, soccer programs, dirt-jump clinics, and swim lessons. Register online at http://www.parkcityrecreation.org or call 615-5400 for more information. Park City Recreation is offering summer youth tennis camps for players 7-14 years of age, of all levels. There is an option of two-, three- or five-day camps. Camp runs 10:30 a.m.-1:30 p.m. Fee is $45 per day. Registration opens April 1 online at parkcityrecreation.org. Call 615-5400 for more info. The PC MARC, in conjunction with the Utah Tennis Association, will be hosting a free wheelchair tennis camp on Saturday, April 6, from 1 to 4 p.m. All ages and abilities are welcome. To reserve your space, call Tamarin at 435-615-5400. Take a shot at a one-year pass with classes to the PC MARC. From now through April 8, earn points for your fitness workouts and tennis activities and be entered to become the MARC Madness champion. This is a free fitness challenge for those who are current pass holders or pay the daily entry fee. Come to the PC MARC and get your game on! Call 615-5400 for more details. This program is tailored to those looking for a personal training workout in a group setting. Session runs April 9-May 16 on Tuesdays and Thursdays at 1:30 p.m. Cost is $145 for the session. Register by April 6 online at parkcityrecreation.org or call 615-5400 for more info. This workshop, scheduled for April 6 from 2:30 to 5 p.m. at the Silver Mountain Sports Club & Spa/Kimball Junction yoga room, focuses on the "key core" exercises that will dramatically improve your running, hiking and or walking. Join Sharon Starika, Feldenkrais practitioner/movement educator, to learn what specific "key core" exercises are necessary to truly develop greater strength and power to maintain better posture. The fee is $25. To pre-register, or for additional information, contact Starika at (435) 655-1989 or at Sharon@SharonStarika.com. Baseball and softball are kicking into high gear. From Blast Ball for three- and four-year olds through the ninth-grade Pony and Thunder divisions, Basin Recreation is offering a wide range of baseball and softball leagues. Evaluations for the upper divisions will be held April 8-11 at the Fieldhouse. Games will be played at Ecker Hill Middle School, Treasure Mountain Junior High, Park City High School, and Trailside Elementary School. 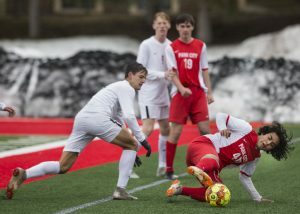 Upper-division teams may travel to play Kamas and Coalville teams. Leagues will run from May through June, except Blast Ball (May only). Sign up before April 8 to avoid a $10 late fee. For more information and to register, visit http://www.basinrecreation.org, call (435) 655-0999, or stop by the Fieldhouse. The PC MARC, along with Danielle Bean, is happy to offer an Intro to MELT Method workshop Sunday, April 7. MELT is a simple self-treatment that rehydrates the connective tissues reducing stuck stress using soft body rollers, three small balls, and specialized techniques. Registration is available at the PC MARC at (435) 615-5401 or online at parkcityrecreation.org. Calling all youth soccer players! Park City Recreation is offering its spring youth soccer program April 13 through June 12. Players must be four years old through fourth grade. Small-side games will be played Saturdays and some Wednesdays at Willow Creek Park. Register now through March 31 online at parkcityrecreation.org. Call 615-5401 for more info. Spring volleyball is almost here. Basin Recreation is offering a program from April 16 through May 30 at the Ecker Hill Middle School gym. Participants will learn the fundamental skills of the game and how to apply them in a game setting. Practices will be held on Tuesdays and Thursdays. Third through fifth graders will meet from 4 to 5 p.m. Cost is $50 per player. Sixth through eighth graders will meet from 5 to 6:30 p.m. Cost is $100 per player. For more information and to register, visit http://www.basinrecreation.org, call (435) 655-0999, or stop by the Fieldhouse. Park City Recreation is offering a camp for youth ages 6-12 for the week of April 22-26. This camp will provide tons of fun for your kids including art and crafts, games, bouldering, library, swimming and bowling. The fee is $185 for the week. Register online at parkcityrecreation.org or call 435-615-5400. Need a place for your kids to play during spring break? Sign up for Basin Recreation’s Spring Break Camp from Monday, April 22, through Thursday, April 25, from 9 a.m. to 4 p.m. Camp from Monday through Wednesday will be held at the Ecker Hill Middle School Gym and Thursday it will be held at the Fieldhouse. Campers will enjoy games, arts and crafts, and swimming. Be sure to pack a swimsuit, towel, lunch, and snacks. Cost is $40 per day or $120 for all four days. To register, visit http://www.basinrecreation.org, call (435) 655-0999, or stop by the Fieldhouse. 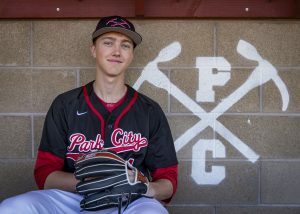 Park City Recreation is hosting an adult coed league that runs April 18 to June 13 with Thursday night games played at the Sports Complex. Register your team by April 11 online at parkcityrecreation.org or call (435) 615-5400 for more info. Basin Recreation is partnering with Team Altitude for an Introduction to Lacrosse program. This six-week clinic will introduce youngsters to the fundamentals of lacrosse on Saturdays from May 11 through June 22 at the Fieldhouse. First-, second- and third-grade girls will meet at 9-9:50 a.m. Co-ed kindergarteners will meet at 10-10:50 a.m. Players will be provided with a stick and eye protection, but please bring a mouth guard. Cost is $55 per player. Registration deadline is May 4. To sign up, visit http://www.basinrecreation.org, call (435) 655-0999, or stop by the Fieldhouse. Park City Recreation offers an exciting summer day camp for youth 6-12 years old. There’s never a dull moment with sports, games, arts & crafts, field trips and more. Optional tennis, art, skateboard or swim lessons are available with transportation provided. Campers can register for full summer, weekly or daily drop-in. Registration opens April 1 online at parkcityrecreation.org. Call 615-5400 for more info. Do you love football, enjoy kids, and want to be a part of a winning organization? If so, you can apply for a Park City Youth Ute Football coaching position. The 8-14-year-old teams are looking for head coaches who have a working knowledge of the game of football. Interested candidates must complete written applications and be approved by the selection committee. Applications are due April 1. The season runs from August to mid-November. Please contact Thomas Baynes, (404) 307-6902, or Shawn Long, (435) 714-1528, for an application. Park City Recreation is taking registration for youth spring pre-comp swim team for ages 6-12. 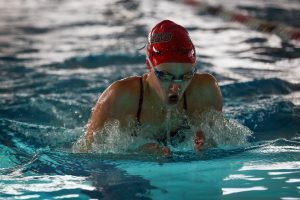 Coached workouts, Monday through Thursday, 4-5 p.m., will focus on stroke and skill work while preparing swimmers for competitive swim team. Session runs May 6-30. Registration is open until course is full. Go online at parkcityrecreation.org or call 435-615-5400 for more info. Park City Recreation is giving you a jump start on your child’s swim lessons. All levels will be taught for children ages 6 months through 12 years. Lessons will be held on Tuesdays and Thursdays, May 7-30. 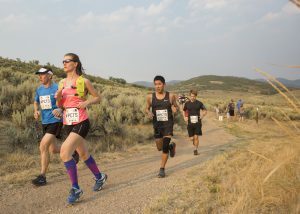 Register by May 3 online at parkcityrecreation.org or call 435-615-5400 for more info. Park City Recreation is offering Start Smart Soccer for children ages 3 to 5. Parents "play" soccer with their kids and learn a variety of skills. Sessions will run on Saturdays, May 4-June 8. Register by May 1 online at parkcityrecreation.org or call 435-615-5400 for more info. The Park City Soccer Club’s Spring Youth Academy is open for registration for youngsters ages 6-10. The goal of PCSC Youth Academy is to teach the game of soccer in a fun and challenging environment. Players will be taught individual ball skills and creativity through developmentally-appropriate training sessions. The academy meets Mondays and Fridays from 5 to 6 p.m. For more information go to http://www.parkcitysoccer.org . Come to the PC MARC on Monday nights and get your ping pong on. Youth and adults are welcome from 5:30 to 7 p.m. Fee is included with a facility pass or a $7 daily drop-in fee. Call 435-615-5400 for more info. Kickboxing is a fun way to burn calories, strengthen your body and relieve stress. Silver Mountain Sports Club is now offering kickboxing classes on Thursday evenings at 6:30 p.m. at the Prospector Square location, 2080 Gold Dust Lane. Taught by world-champion kickboxer Travis Mason, this new class is open to men and women of all ages. Kickboxing is free for Silver Mountain Sports Club members and punch-pass holders. Call (435) 649-6670 for more information.